Pictionary Man just doubled the fun! This version of the beloved Pictionary game includes game pieces and new ways to play. Each team gets its own Pictionary Man to draw on and the first team to guess the clue before the sand timer runs out wins the card! 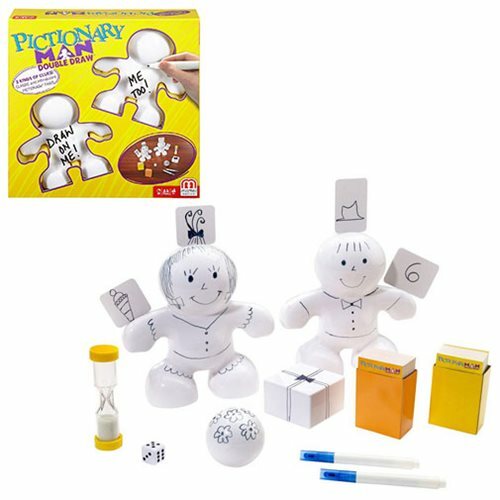 Comes with 2x Pictionary men, 2x shapes (box and ball), 4x paddles to draw on, 150x clue cards, 1x timer, markers, and more. Ages 8 and older.